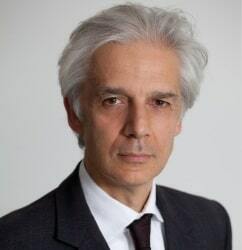 Charles Spragge is a commercial disputes, contracts and finance lawyer experienced in advising and acting for businesses, banks, financial institutions, government entities, and corporates as well as directors and shareholders. He is a solicitor-advocate (civil), a member of the LCIA, the ICC, the Chartered Institute of Arbitrators and an accredited mediator. His range of work covers: facility agreements, bank guarantees, security, receivables finance, trade and marine finance, defence contracts, long-term projects, ship-building disputes, product liability and insurance, insolvency claims, regulatory matters, fraud, liability claims, professional negligence, international commercial arbitration, investment treaty arbitration, shareholder disputes, directors’ duties, breach of warranty claims and general contractual disputes. He also advises banks on a wide range of cross-border transactions including trade finance, documentary credits, guarantees, security, receivables and export finance. Charles joined Druces LLP with a team from City boutique, Starr & Partners LLP, and prior to that was a partner with CMS Cameron McKenna. Charles is recommended in the Legal 500, 2019 as ‘smart, quick’ and having ‘great analytical skills’. The 2018 edition noted he is ‘technically very good, but also very commercial’.